Brian France, NASCAR chairman, was arrested in New York on August 5, 2018 for DUI and criminal possession of oxycodone. The NASCAR CEO had a BAC (blood alcohol content) that was more than twice the legal limit under New York law. According to the arresting officers, France ran a stop sign, reeked of alcohol, and slurred his speech. Police state that he struggled through the field sobriety tests. The legal limit in New York is 0.08% BAC, and France’s was 0.18%. Next, officers found oxycodone pills. The driving while intoxicated arrest happened in the Hamptons. According to the Sag Harbor Village Police Department, officers arrested the NASCAR leader for aggravated driving while intoxicated and criminal possession of a controlled substance. The officers observed French was operating his vehicle in an intoxicated condition after pulling him over for failure to stop at a stop sign. Next, a search of his person resulted in possession of oxycodone. In a statement, France apologized to fans and the NASCAR industry, and announced he would be taking a leave of absence from his position. France has acted as NASCAR’s CEO since 2003. After spending the night in jail, France was arraigned at Sag Harbor Village Justice Court. France’s grandfather, Bill France Sr. founded the NASCAR company in 1948, and Brian France is the third-generation head of NASCAR. A report issued from ESPN stated that France may be required to go through drug testing, suspension, and/or a recovery program. This entry was posted in Uncategorized on August 13, 2018 by michael. However, if the person does not display any signs of impairment an experienced and skilled DUI lawyer may be able to get the case dismissed. In order to be arrested for DUI a police officer must have probable cause, at the time of the arrest, that someone is in fact guilty of DUI. “Probable cause” requires that the officer possess sufficiently trustworthy facts to believe that a crime has been committed. 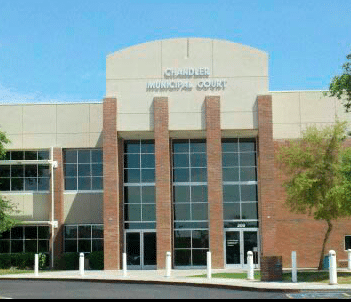 A DUI lawyer in Phoenix AZ can always file a motion in court alleging that the arresting officer did not have probable cause to arrest the person for DUI. The judge will then set a hearing on the motion, at which the officer or officers who made the arrest must explain to the judge why they felt they had probable cause to make the arrest for DUI. The experienced defense lawyer can cross-examine the officers to discredit their reasons so that in the absence of any signs of impairment the officers did not have sufficiently trustworthy facts to show the person was DUI. Remember, to show probable cause the officers must show what facts were known to them at the time of arrest, and not afterwards, so any breath or blood tests obtained after the arrest cannot be used to show probable cause. The experienced lawyer can question how the officers could have sufficiently trustworthy facts that the person was impaired by alcohol or drugs, and therefore DUI, if at the time of the arrest the alcohol or drugs was having no visible effects on the person? If the evidence at the hearing shows that the person did not display signs of impairment the judge may very well say the police did not have sufficiently trustworthy facts of DUI, and therefore no probable cause to arrest the person. If the judge says there was no probable cause to make the arrest then the case gets dismissed. A person arrested for an Arizona DUI should always get an experienced DUI lawyer to review the case to see if the case can be dismissed because the police had no probable cause. This entry was posted in DUI Law on August 3, 2015 by joshjacoby. Drivers who are under the influence are a threat no matter where you live. Drugs and alcohol can impair a driver’s judgment, putting everyone else on the road at risk. Reaction times are slowed, drivers are unable to stay in the right lane, they run stop signs and red lights, and they disregard traffic laws. The results can be catastrophic. DrugTreatment.com recently released information about the states with the most traffic fatalities caused by drivers under the influence of drugs and alcohol. The publication analyzed 18 years of data between 1995 and 2013, and it found that 26 percent of all fatal accidents involved drugs and alcohol, resulting in 267,598 deaths. The state with the most fatal accidents involving alcohol was South Dakota. The state had 22 fatal accidents involving a driver under the influence for every 100,000 residents. At least one person was killed in each of those accidents, but sometimes more. The states filling out the top 10, in order, were Wyoming, Arkansas, Nebraska, Montana, Mississippi, Maine, Kentucky, Louisiana, and West Virginia. North Dakota had the most fatal car accidents involving drugs — eight for every 100,000 residents. Filling out the top 10, in order, were Wyoming, Montana, West Virginia, Kentucky, Arkansas, Vermont, South Dakota, South Carolina and Alabama. DrugTreatment.com further broke down the types of accidents according to county. For example, it found that accidents involving marijuana were most prevalent in Hawaii, while accidents involving narcotics were most prevalent in Arizona (specifically, Yavapai County). Other than this county showing up for the most accidents involving narcotics, Arizona did not land on any of these lists for the highest number of traffic fatalities. However, that doesn’t mean that drivers in the state are safe from these risks. According to the Arizona Department of Transportation, there were 708 fatal crashes in the state last year, out of 109,554 crashes total. Only 238 of those crashes involved alcohol. The other fatal accidents were primarily caused by high speeds or distracted driving. Many fatalities were also attributed to not using a safety belt. Other than moving out of the way when you see an obviously erratic driver, there is not much you can do about other drivers on the road. Even the best defensive driving cannot guarantee your safety. Any accident involving drugs or alcohol can result in serious injuries. If you are involved in a serious accident, working with the right personal injury lawyer can help you recover the compensation you deserve for your injuries. 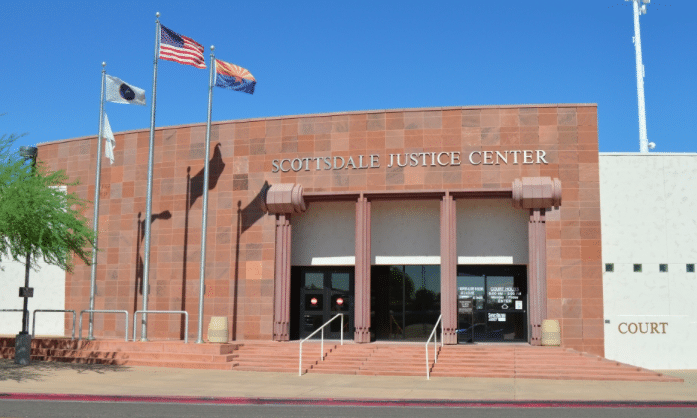 My AZ Lawyers offers experienced and aggressive Mesa DUI representation to get you results. We’ll pursue the maximum compensation the law allows to ensure that you get the medical care you need and that your family’s financial future is protected. Call us today to discuss your case. This entry was posted in DUI Law on July 14, 2015 by joshjacoby. Chris Pine is a Hollywood actor best known for playing James T. Kirk in the modern Star Trek movie. He is a 33 year successful actor with an impressive resume. Unfortunately, Chris Pine also recently pleaded guilty in a court in New Zealand to a DUI charge. Chris was pulled over after leaving a party celebrating the end of a new movie. Per the police report, he said he had four drinks and a blood alcohol level of .11 percent, over the legal limit in New Zealand. Chris’ lawyer entered the plea and the judge acknowledged that Pine appeared to show remorse and accepted his plea. Obviously, showing remorse is good and a fair judge is good. Whether or not a judge is fair or understanding is not always something you can control but you can make the best choices possible for yourself and for the safety of others. The good news is nothing devastating happened that night – there was no car accident, nobody was injured or killed and Mr.Pine is accepting responsibility for his actions. Some may argue that Chris Pine was actually ok to drive. After all, driving your car home after a few drinks at a party is not so bad, is it? Many people do this. However, that is a bad basis for judgement and the law is clear. If you are over the legal blood alcohol limit, you are not okay to drive – period. This is of course an anecdotal story about a celebrity. A celebrity who was lucky that he paid for his actions with fines and a court appearance and who already has a very financially lucrative career. For everyday people in this world, this is not the case. A DUI offense can ruin future job opportunities and worse. DUI is a serious offense and can have terrible consequences for oneself and others around you. The best course of action is to not drive while under the influence ever. Obviously there are instances when poor judgement occurs and that mistake is made. Arizona has very strict laws against DUI and if you are arrested, the Mesa DUI lawyers at My AZ Lawyers can help. My AZ Lawyers, is an Arizona law firm with a large team of legal experts to help. We have offices in Mesa, Phoenix, Glendale and Tucson. We are DUI attorneys, experienced in defending clients who have gotten in trouble with the law for DUI. Of course we will always hope to not have to defend someone since it is better that the DUI does not happen in the first place! But if the unfortunate situation happens, you need a good legal defense. We understand that decent people make mistakes and should learn from these mistakes and move on, not have the rest of their lives ruined for these mistakes. Having good legal representation can mean the difference between a good, fair outcome and a very tough hardest leaning of the law outcome. Let our law firm defend you and your loved ones if you need it. This entry was posted in Celebrity DUI on October 28, 2014 by michael. 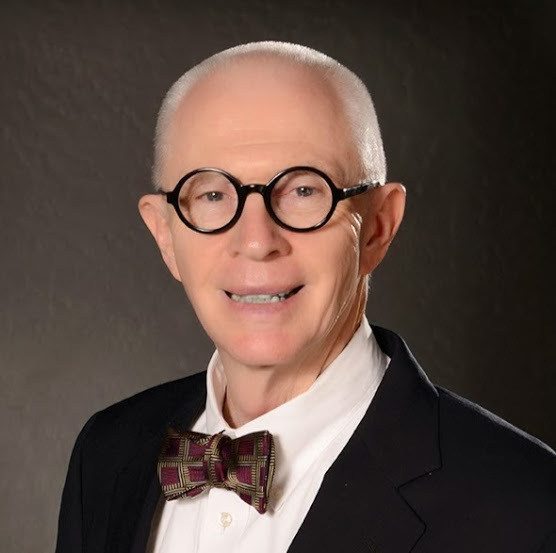 How well do you know the Mesa Arizona DUI law? Do you know your rights when being stopped for a DUI or the consequences for a DUI conviction? True or False: You have the right to refuse a Mesa field sobriety test if asked to do so by a police officer. True. Field sobriety tests such as the one-leg stand, finger-to-nose tests, walk-a-straight-line, and other tests are voluntary in Mesa, Arizona. True or False: Eating food can help you to sober up before you drive home after drinking. False. Eating before drinking may have an effect of the absorption of alcohol in your bloodstream, but eating anything (including breath mints, pennies, or hard candies) will not help your drunkenness/impairedness due to consuming too much alcohol. True or False: You should answer a police officer if he/she asks if you have been drinking. False. A Mesa AZ officer is asking you this question because your answer can be used against you as evidence. Your right is to remain silent and observe your right against self-incrimination. Your option instead of answering the question is to decline to answer the question and ask to call your Mesa DUI attorney. True or False: You can refuse to take a blood test. This depends. If you have been arrested for a DUI and refuse to take the blood test, your driver’s license will be revoked for at least one year. Many times an officer will obtain a warrant in order to test your blood, even if you have declined. Arizona DUI laws are strict and tough; in fact, according to the law, it is implied that any person driving a motor vehicle and arrested for DUI is presumed to have given consent to the law. True or False: You have the right to consult an attorney before an officer asks you to take a field sobriety test. False. 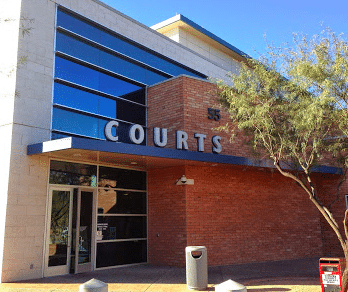 According to Arizona courts, you do not have the right to counsel unless or until you are placed under arrest. You may, however, when asked to perform field sobriety tests to refuse the test and ask to speak with an attorney in Mesa. True or False: You had one glass of wine. You are pulled over for speeding. You honestly tell the officer you had one glass of wine, as you are responsible and under control. It is possible that you blow over the legal limit if asked to take the breathalyzer test. True. You know you didn’t over indulge enough to possibly be dangerous or even “intoxicated,” but there are some things that can affect the accuracy / results of a breathalyzer test. True or False: Drinking coffee will help you sober up before you drive your vehicle. False. Caffeine or any other ingredients in coffee will not help your liver metabolize alcohol, therefore not help you be more sober. Drinking coffee, taking a cold shower, or getting fresh air may give you a false sense of being more alert, but it has zero impact on the Blood Alcohol Content in your system. This entry was posted in DUI Law on February 12, 2014 by michael. DUI, DWI, OMVI, OVI… all acronyms that basically name the same offense: operating a vehicle under the influence of alcohol or drugs. DUI is the most commonly used term meaning driving under the influence. “Under the influence” means operating a vehicle after consuming alcohol or drugs— a driver has consumed something that has impaired their ability to operate their vehicle properly. It is unlawful for a person to be in actual physical control of a vehicle in the state of Arizona while under the influence of intoxicating liquor, drug, or vapor releasing substances that contain toxic substances, or a combination of any of these if it causes the person to be impaired to the slightest degree. DWI, driving while intoxicated, better known as “drunk driving,” implies that a driver was operating a vehicle after consuming too much alcohol. DUI is a term that is more inclusive, as the driver is impaired due to being under the influence of drugs or alcohol. However, DWI is now referred to as driving while impaired, so the meaning of those letters DWI assumes impairment due to more than just booze. OMVI, operating a motorized vehicle impaired, also refers to driving under the influence of drugs or alcohol. Some states, however, have now changed OMVI to OVI: Operating a Vehicle Impaired. The change came about in some states where it is a crime to operate almost any “vehicle” while impaired; such as bicycles or horse-drawn carriages. The state of Arizona defines driving under the influence, or DUI, as driving or operating a vehicle while mentally or physically impaired by any drug, alcohol, or vapor releasing substance. If you have been arrested for DUI in Arizona and need assistance or advice, consult an experienced Arizona DUI attorney. This entry was posted in DUI Law on September 24, 2013 by michael.